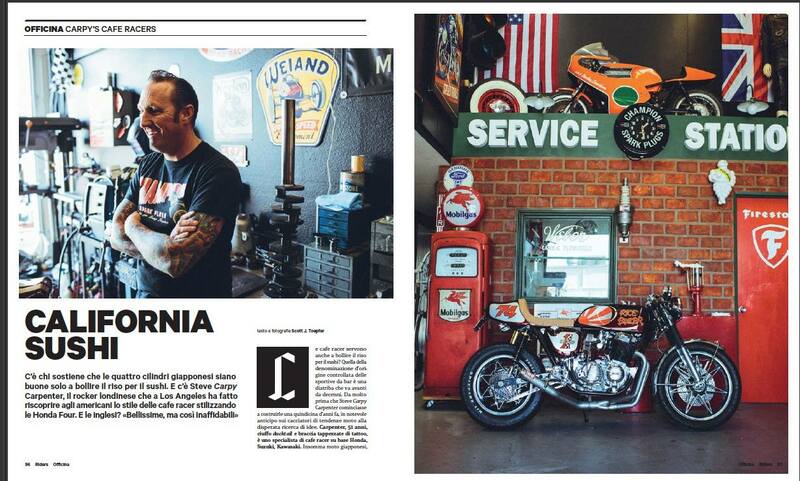 Always great to be in any media to be honest- but was stoked to be in Riders magazine in Italy, as they are sure passionate about their Motorcycles and industry. 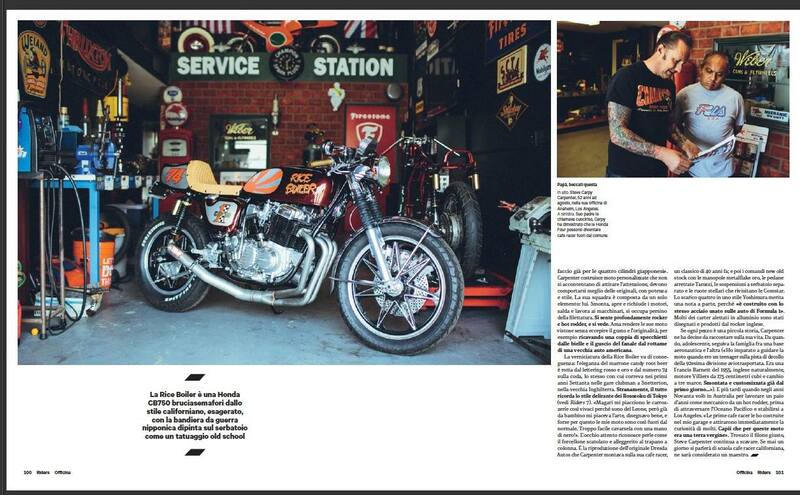 So to have an article about me in that that rag is so cool, this is a top quality magazine and many people have been featured like Rossi, Roberts and so many of my icons, so to see this really made my day and cannot thank them enough for coming to see me. We get media from all over the globe visit us and have photo shoots with people from Helmet companies to high Fashion magazines, so we must be doing something right? I remember them flying out to see me and they had an interpreter and we had a fun day chatting and taking photographs. 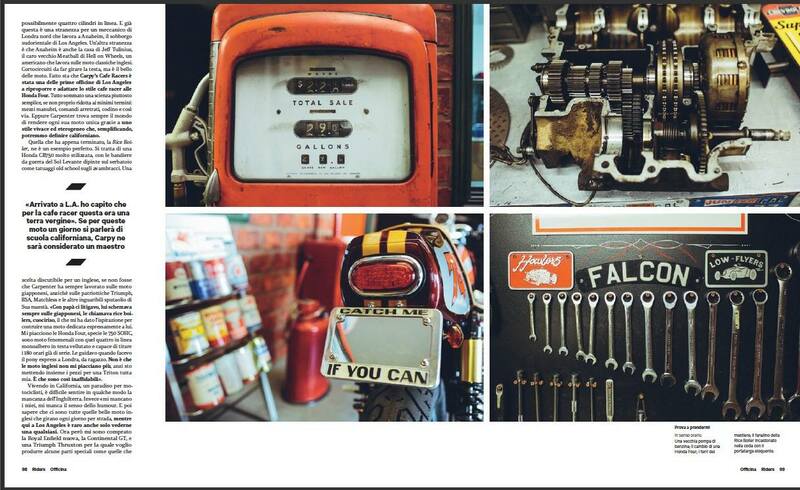 This entry was posted in Blog and tagged 750-4, ama, bonneville, brat, cafe racer, cb750, chopper, classic bike, drag, el mirage, garage scene, hot rod, nhra, rockers, sohc, street rod, ton up, vintage motorcycle.